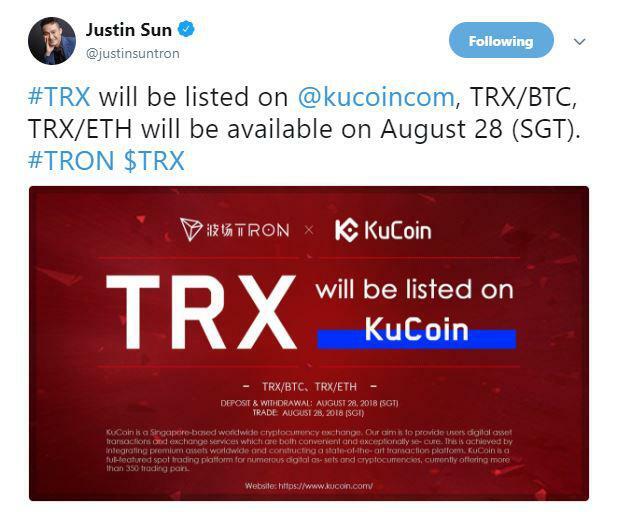 On 26th August, Justin Sun, the Founder, and CEO of Tron announced that the TRX token will be listed on KuCoin, a Singapore based worldwide cryptocurrency exchange. He also stated that the trading pairs, TRX/BTC and TRX/ETH will be available on 28th August, two days before the launch of the Tron Virtual Machine. KuCoin states that they aim to provide users with seamless digital asset transactions and exchange processes. The exchange provides users with the option of more than 350 trading pairs. KuCoin was also in the news recently when it announced Merculet [MVP] as part of its tradable cryptocurrencies. MVP, the official digital currency of Merculet is now accessible on KuCoin with trading pairs including MVP/BTC and MVP/ETH. The Foundation had also announced a few days back that the TRX token can be traded on CoinSwitch. 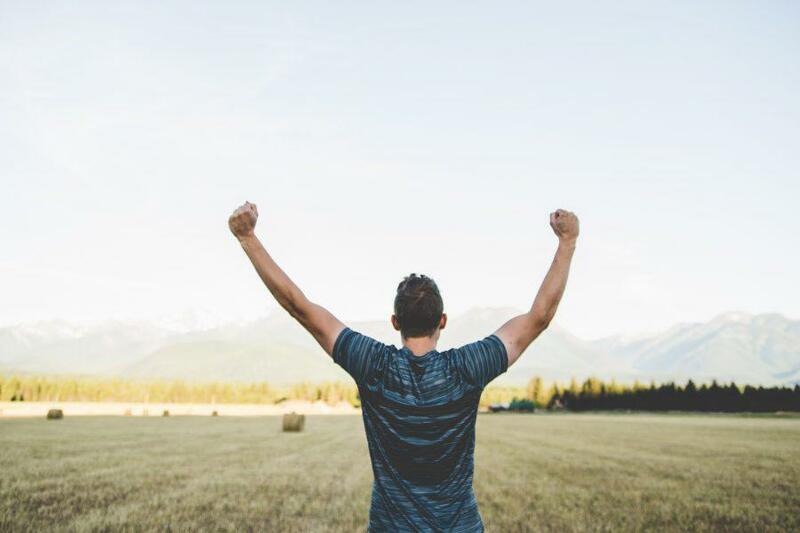 He also stated that the daily trading volume on the cryptocurrency exchange aggregator has been reaching a total amount of $1 million during the course of 2018. 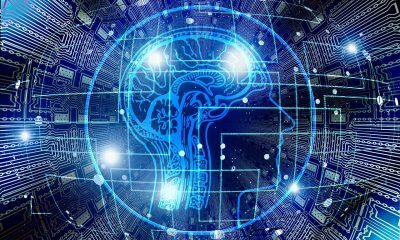 The Tron juggernaut has been on a roll with the Foundation announcing multiple updates and tie-ups prior to the launch of the Tron Virtual Machine on 30th August. At the time of writing the TRX token was enjoying a noticeable surge of 5.68%. The coin was trading at $0.023 with a market cap of $1.52 billion. The cryptocurrency has been undergoing a temporary jump in and out of the top ten cryptocurrency club with TRX currently nestled at the 12th position.